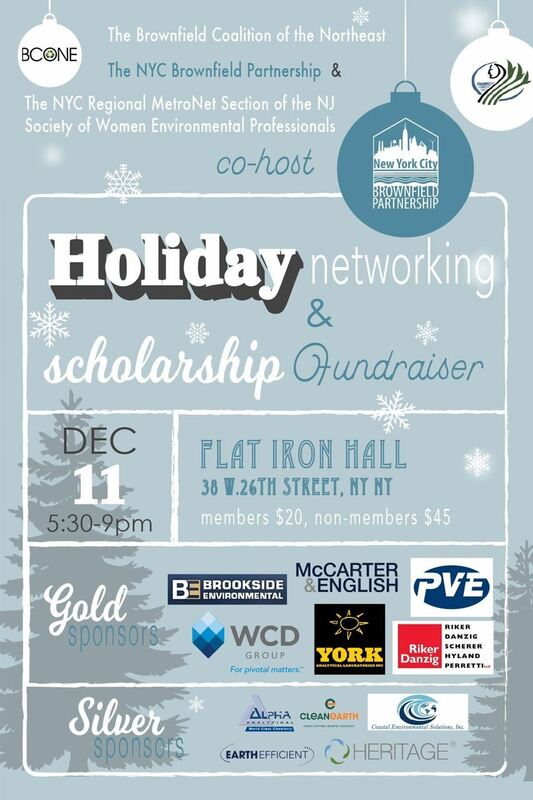 A joint event of holiday season networking (and, come on, no place is as great as NYC for the holidays!) and scholarship fundraising for 3 great organizations: BCONE, the NYC Brownfield Partnership, and NJ SWEP MetroNet (the metro-NYC arm of SWEP). Please note that all ticket sales will be divided between the scholarship funds for NYCBP, BCONE, and NJSWEP.